People are starting to learn a new language for a variety of reasons, ranging from personal development, before moving to another part of the world, improving your career or education. Nowadays one of the most popular ways to learn a language is to enroll in an online course in a foreign language. In the current international business, trading is increasingly carried out across borders, knowledge of a second language is advantageous as never before. The ability to speak a foreign language at a decent level can significantly improve your prospects on the labor market and in attaining education. Moreover, traveling abroad is available as ever, and knowledge of a second language may enhance the experience. The ability to communicate with the locals can open new possibilities, including a move to another country. No matter what your motivation for learning a new language, you need to learn properly. Incorrect technique can lead to poor learning experiences, slow progress, and gaps in knowledge, whereas the correct method will contribute to the comprehensive study of the language. The best way to learn a new language is to engage with people who are native speakers. It is also essential to be able to practice their skills in reading, writing, listening and speaking in a friendly atmosphere. Here on Esoeonline, you will find a bunch of grammar, reading and vocabulary exercises. When it comes to the language learning method described above, students have two main options — traditional language courses or online courses. Both options have their advantages, and both will lead to results. In the past, conventional language courses were held in the classic classroom atmosphere, seen as the main way to learn the language, and for a good reason. These courses allow pupils to learn from qualified teachers, practicing various aspects of a language and to learn together with other students with similar levels. 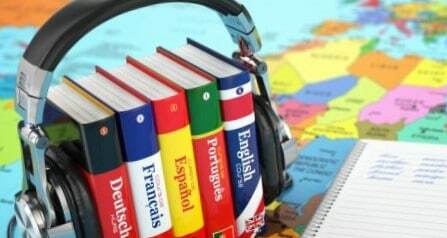 Nowadays high-quality online foreign languages courses provide the same benefits. Online learning allows students to practice all aspects of language and offers a virtual classroom environment, which recreates the fundamental advantages of face-to-face courses. In the past, computer training methods had limitations that hinder them to be better than traditional courses, but now that is not the case anymore. Modern technology allows high-quality video calls that would enable, for example, to estimate the pronunciation of the student. Online courses offer several advantages that distinguish them from traditional courses. Small groups mean that each person receives more attention from lecturers, and the ability to learn at home makes the classes suitable for almost everyone, regardless of personal circumstances.